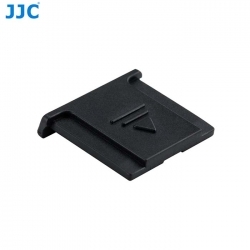 JJC HC-F BLACK Hot Shoe Cover fits most Fujifilm cameras. It can effectively reduce scratches to the plate and contacts of your hot shoe and also protect your hot shoe away from dust, moisture and oxidization. Made of premium ABS material, this Hot Shoe Cover is slim and portable and easy to operate.